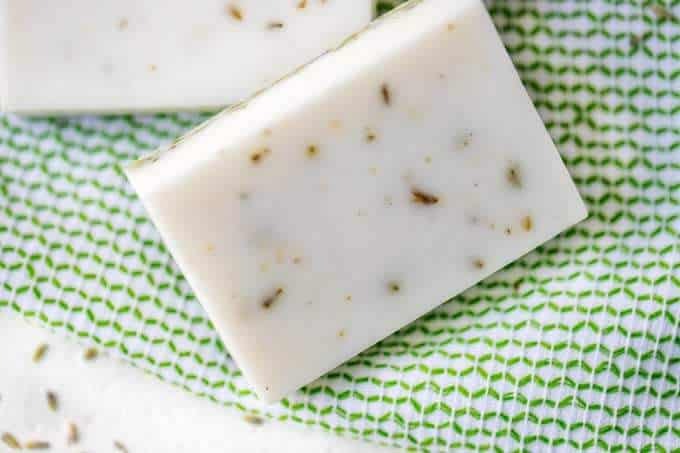 Learn How to Make Lavender Soap with a melt and pour goat milk base. 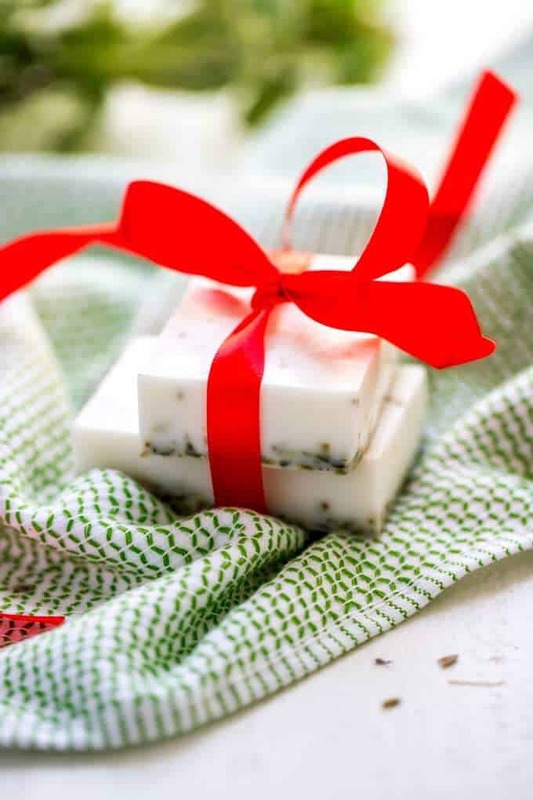 It the perfect easy way to get started with soap making and is perfect for gifts. Making soap is something that I’ve wanted to do for a long while. 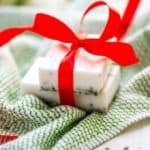 Although I am not crafty, I love creating things, and soap making has always seemed like something I would love. I bought soap molds over the summer when we were in Asheville, and then promptly put them in a box where they were soon forgotten. From time to time, something would remind me of the supplies I had purchased, but I never got around to using them. I had to borrow from the kid’s bathroom! I typically buy soap at Whole Foods because I don’t like the toxins and fragrance that comes with traditional soaps. That afternoon I decided that since I didn’t need anything else from Whole Foods, it would probably be easier to make soap than deal with the 25 minutes drive each way. I wasn’t 100% sure I wasn’t going to be using the kid’s soap the next day, but luckily that didn’t happen. To say that I was beyond thrilled with the results is an understatement! There are a lot of different ways to make soap, and I wisely started off with the easiest, which is melt and pour. 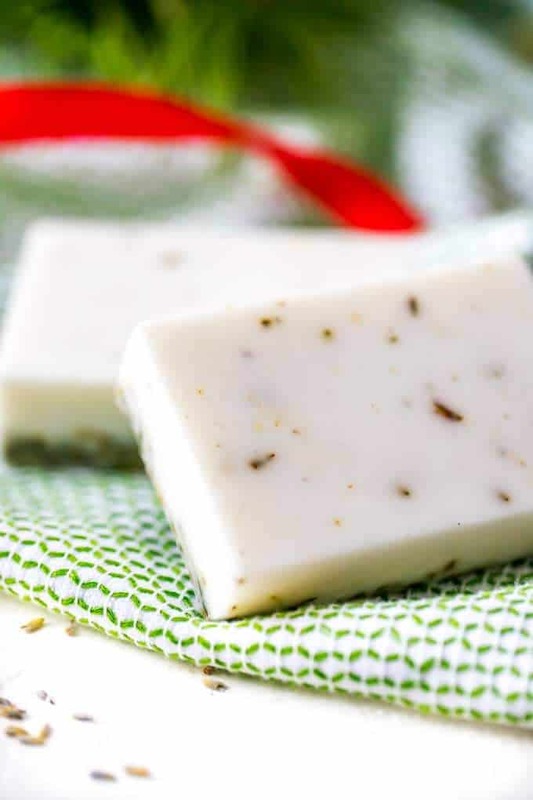 It allows you to have control over the look and smell of your soap, without having to worry about mixing lye outside or anything else. 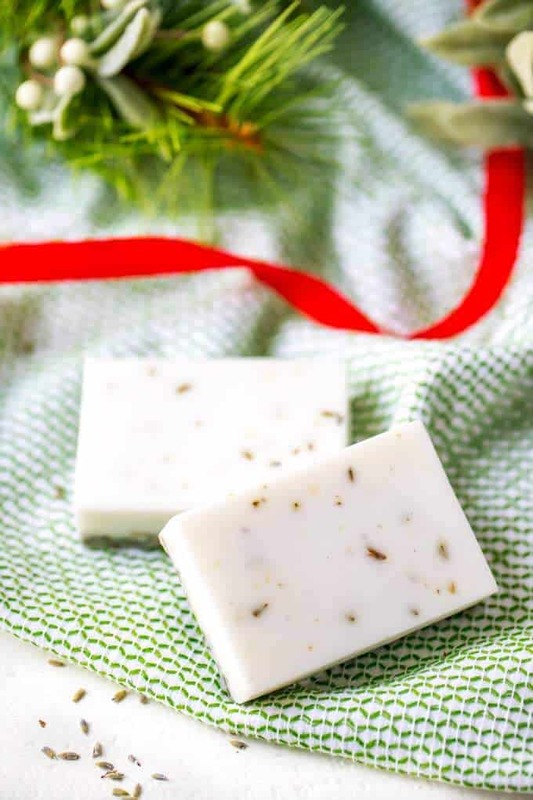 If you have ever wanted to get started with soap making, here is how to make lavender soap. I love how the lavender buds make a solid layer on one side, that is great for exfoliation. And, aahhh! The smell. Does it get any better than lavender? Spray clean soap mold with rubbing alcohol. Fill the bottom of the double boiler with water and place the top part on it. Heat to medium. Chop melt and pour base and place it in the top of the double boiler. Cook until melted, stirring occasionally. Remove from heat and add lavender essential oil. Stir in dried lavender. Transfer to prepared soap molds and spray with rubbing alcohol to remove bubbles. Allow to cool in the mold until hardened.